Traditionally, the Japanese innovation ecosystem was largely confined in the domestic sphere, because of the existence of the closed supply chain network represented by “Keiretsu”. However, along with the accelerated offshoring by the Japanese final assemblers, traditional “Keiretsu” supply chain system is now unwinding and opportunities for tapping into high-quality Japanese SME’s are now emerging from outside of Japan. In this presentation, the speaker will touch on the current status of the Japanese industry clusters, and the reason why they are remaining competitive now, providing opportunities for global high-end manufacturing demand. Several case studies of innovation through matching several layers of players over different industry clusters will also be discussed. Don’t miss this opportunity to learn more about the Japanese innovation ecosystem first-hand from an insider’s point of view! A networking session with food and drinks will be held after the presentation to let you exchange ideas with the speaker and the participants. 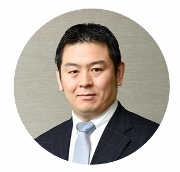 Hiroaki Kuwajima is Senior Vice President of Linkers Corporation and President of Linkers International Corporation based in Chicago, U.S. After starting his career at Mitsubishi Corporation, Hiroaki worked on management consulting for 6 years and now overseeing Linkers Global Strategy. Hiroaki holds MBA from Harvard Business School and MPA from Harvard Kennedy School. Hiroaki also teaches at MBA program, Globis University in Japan. Linkers is a Japanese tech platform for accelerating global innovation which provides one-stop service for industry players who look for the best R&D and OEM partners throughout Japan, provides solutions to search optimal business partners in a very short period of time, with country-wide coverage of +2,000 industry experts throughout Japan. Posted on 2016年6月6日 by gram3otsubo. Bookmark the permalink.